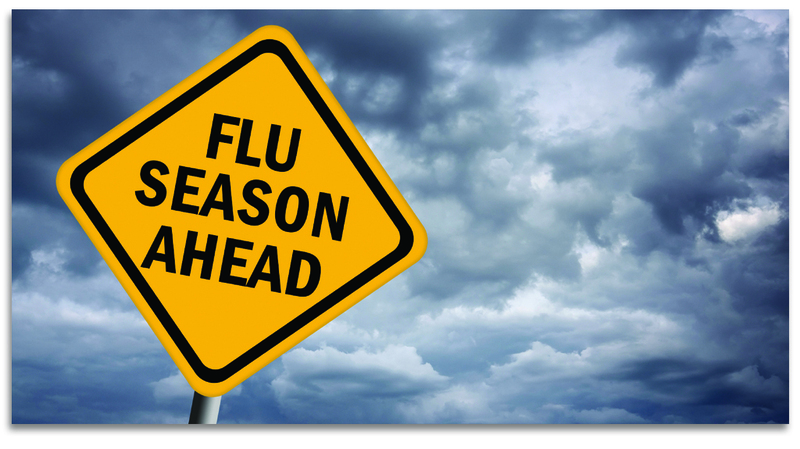 Each year the beginning of October marks the start of flu season. In Canada, it typically lasts through the winter months - October to April. Influenza is a highly contagious respiratory illness that can lead to fever, chills, headaches, muscle or body aches, fatigue, cough, nasal congestion, or sore throat. The severity and duration can vary from person to person, and certain high risk populations (young children, the elderly, people living with chronic illnesses etc.) are more likely to develop complications. While most people can expect to fully recover within 7-10 days, a case of the flu can lead to hospitalizations, or even death. When it comes to the flu, prevention is the best medicine! What is the one of the most important things you can do to prevent the flu? Get your annual flu vaccine. While any given case of the flu is caused by one specific strain of the influenza virus, the strains can change over time and there are many variations of the virus that can lead to illness. Each year, researchers identify the strains that are most likely to spread through our region and cause people to become sick. Since these change from one year to the next, the flu shot you got last year will no longer be as effective at keeping you from getting sick. Everyone over 6 months old should get their flu vaccine each year. Since it takes about 2 weeks to develop protection, the sooner the better! Another key to prevention is controlling the spread of infection. Everyday measures such as washing your hands with plenty of soap and warm water frequently throughout the day can go a long way towards protecting yourself and others. If you don’t have access to soap and water, using an alcohol based hand sanitizers is another option. Try to avoid touching your face, as the influenza virus usually enter your body through your eyes, nose or mouth. Keeping surfaces that you often touch clean and disinfected can help stop the spread of germs as well. Try to limit close contact with those who are sick, and avoid crowds where viruses can spread quickly and easily. If you do get sick, try not to spread your germs to others. Stay home from work or school until your fever has been gone for at least 24 hours. Cover your mouth and nose when you cough or sneeze by using a tissue, or the inner part of your elbow.